Our “Business Rooms” feature strong design and furniture in warm colours. These rooms are approx. 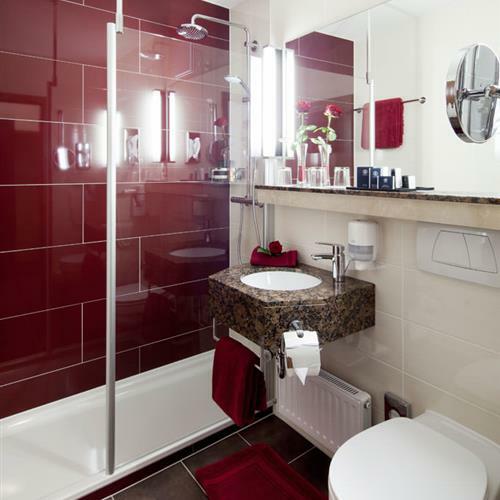 23m² and meet the needs of business travellers and holidaymakers equally well. Amenities include: extra long queen or king size bed (2.10m long), allergy-friendly bed linens, seating area, desk, telephone, WiFi, laptop safe, minibar, flat screen TV and soundproofed windows. 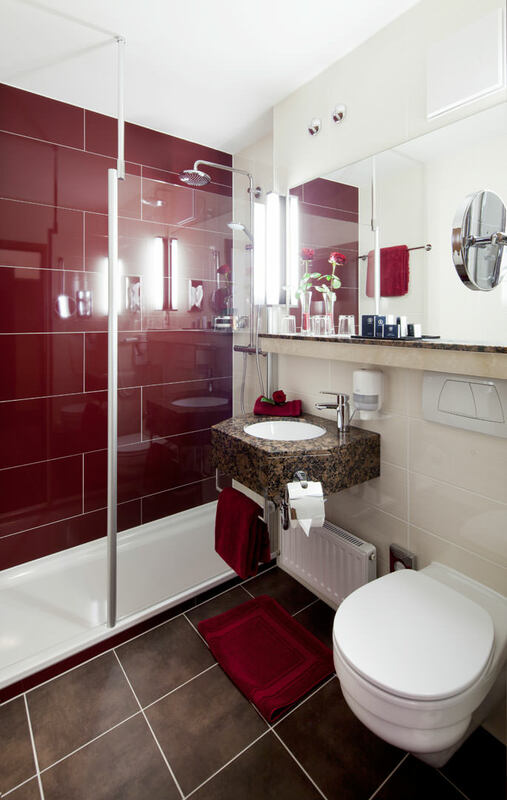 Our modern and functionally-designed bathrooms feature a walk-in shower with hand held and rain shower head, cosmetic mirror, hairdryer, toilet and various toiletries. Room prices include breakfast buffet, a parking space at the hotel, internet access and the use of our sauna and Vital SPA area.